ACSA believes every student deserves equal opportunities to succeed. On every school day throughout California, dedicated educators and courageous students overcome tremendous obstacles to reach their goals of academic excellence. Their success is our success; their powerful stories are our inspiration. 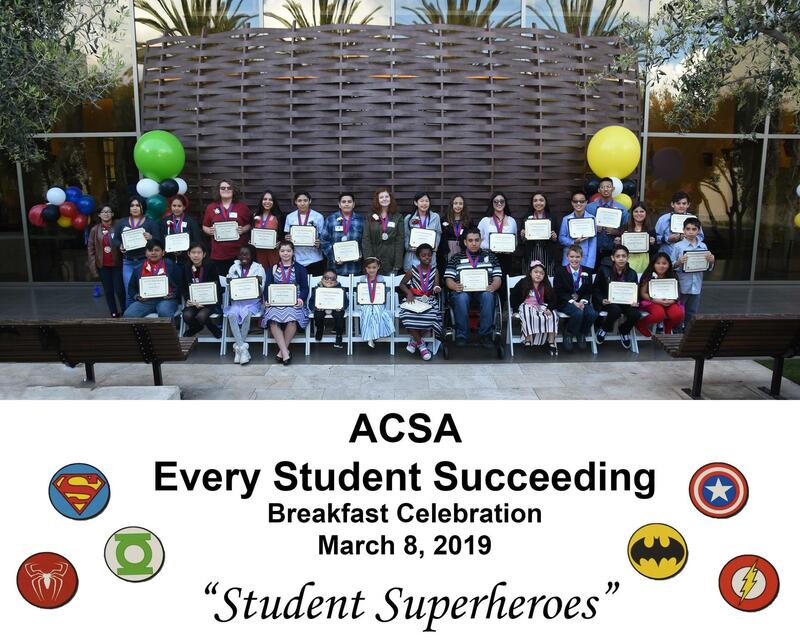 Students will be honored at ACSA's Leadership Summit Every Student Succeeding Luncheon in November, as well as at various regional events. In 2018, the luncheon will take place Nov. 8 at the Hilton San Diego Bayfront in San Diego, CA. ACSA will actively publicize award recipients through the news media, and ACSA's website, publications and social media channels. Purpose. The purpose of this award is to honor students at all grade levels (pre-K to adult education) who have succeeded against all odds, beyond expectations or simply won the hearts of the administrators and other educators who helped them achieve their goals. One student from each region will be honored.